Big outboards like these Mercury 400-hp Verados continue to be in demand. The National Marine Manufacturers Association’s Monthly Shipment Report showed that outboard motor wholesale shipments were up 5.1 percent year-to-date through February compared to last year. The control group of manufacturers represents 95 percent of the market. 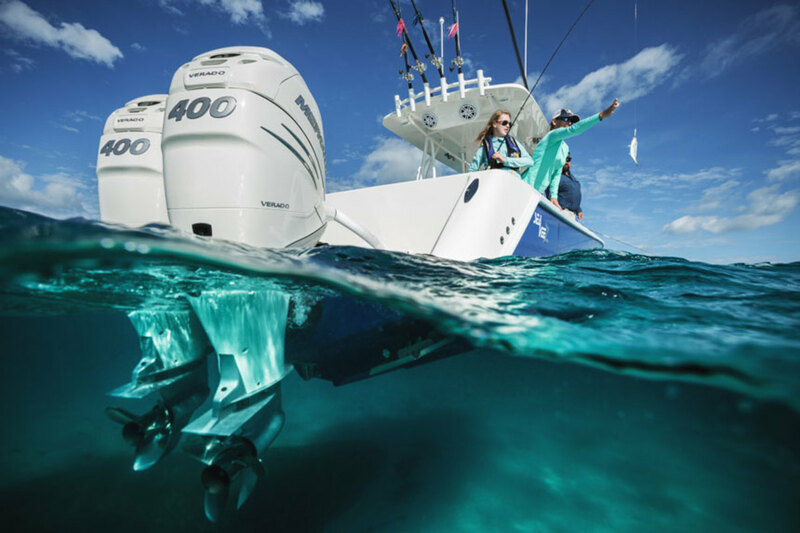 In the Currents newsletter, the association said shipments of outboard motors rated at 200 hp and higher were up 30.4 percent year-to-date through February. Engines that make 75 hp or less were down 9 percent for the first two months of this year.